COMMENTS ON INDIAN COMPANY LAW: Bombay Stock Exchange Circular on SEBI Order as regards to appointment of directors in listed companies.- Compliance underRegulation 30 of the LODR. Bombay Stock Exchange Circular on SEBI Order as regards to appointment of directors in listed companies.- Compliance underRegulation 30 of the LODR. Bombay Stock Exchange Circular on SEBI Order as regards to appointment of directors in listed companies. 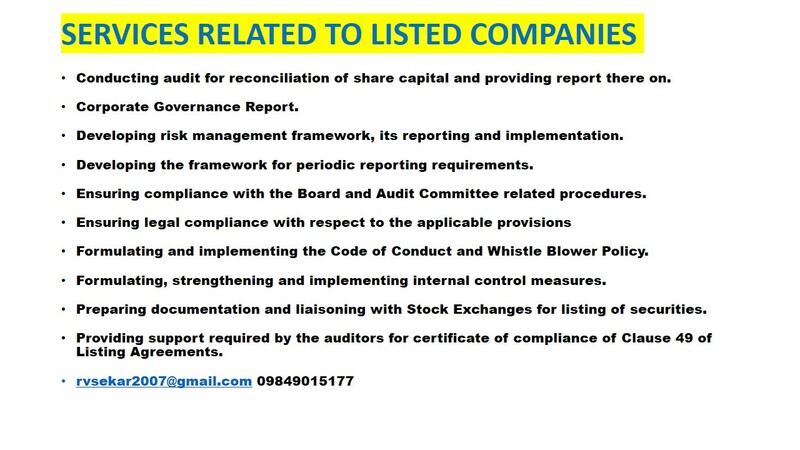 SEBI has issued instructions to all the Exchanges on June 14, 2018, wherein SEBI has referred to enforcement of its Orders debarring entities/individuals from accessing the capital markets and / or restraining from holding position of directors in any listed company. a. Listed companies and its Nomination Committee while considering a person for appointment as director, shall verify that the said person is not debarred from holding the office of director pursuant to any SEBI order. b. The Listed Companies shall, while informing the Exchange through corporate announcements for appointment of Director, specifically affirm that the Director being appointed is not debarred from holding the office of director by virtue of any SEBI order or any other such authority. Non-inclusion of such fact will be regarded as inadequate submission and the same would be subject to action as deemed fit under Regulation 30 of the LODR. c. In case an existing director is restrained from acting as a director by virtue of any SEBI order or any other such authority, the director shall voluntarily resign with immediate effect, failing which the listed entity shall initiate the process of removal of such director in terms of relevant sections of the Companies Act, 2013, and inform the Exchange about the same.